All resumes will be screened for relevant experience. Best way to reach employers worldwide! I have done Cyber Chair training for 21 days in Dubai. 1. Name of the organization: Great Ship India ltd.
2. Name of the organization: ABAN OFFSHORE SINGAPORE PVT. LTD.
3. Name of the organization: ABAN OFFSHORE SINGAPORE PVT. LTD. Managing the Floor man, Derrick man. Managing the Drill Pipe & Casing Tally. Mixing Jobs using all the safety procedures. Carrying out the Running Pull out Process. 4. Name of the organization: ABAN OFFSHORE SINGAPORE PVT. LTD.
· Handling the Mud Pump. · Mixing Jobs using all the safety procedures. · Carrying out the Running Pull Out Process. Engine Service: every 500 RH/ change oil, oil filter, diesel filter, clean air filter, check cooling water in radiator. Oil type: crank case side gear oil and chain side chain oil. Oil capacity: gear oil 15 gallon (Mobil-632) oil change after 6 month. Hydraulic oil 25 gallon (shell-Tells 46) oil change after one year. Gear oil Filter: change every 3 month. Hydraulic Filter: change every 3 month. § PASSED DIPLOMA IN MECHANICAL ENGINEERING (PART TIME) IN JUNE’02 WITH 50%. § PASSED DIPLOMA IN BUSINESS MANAGEMENT IN JUNE, 1998 WITH 58 %. § PASSED B.COM. IN APRIL, 1997 WITH 52 %. § PASSED H.S.C. IN MARCH, 1994 WITH 58 %. § PASSED I.T.I. WELDER TRADE IN JULY,1992 FROM INDUSTRIAL TRAINING INSTITUTE, GANDHINAGAR 72%. § PASSED S.S.C. IN MARCH, 1991 WITH 51 %. § SINCE JUNE’ – 07 TO NOV’-09 WORKED IN TRANSOCEAN (DEEP WATER FRONTIER RAJAMUNDHRY INDIA ON 5TH GEN CYBER DRILL SHIP) AT THE POST OF FLOORMAN. § SINCE NOV’- 05 TO MAY -07 WORKED IN ARABIAN DRILLING COMPANY ( Land Rig & Cyber Base Rig, SAUDI ARABIA) AT THE POST OF FLOORMAN. § SINCE JAN’-05 TO OCT’- 05 WORKED IN ASIAN OIL FIELD SERVICES (AHMEDABAD PROJECT – Work Over Rig ). AT THE POST OF FLOOR MAN. § PASSED APPRENTICESHIP EXAM IN WELDER TRADE FROM NCVT IN ONGC WORKSHOP AT AHMEDABAD WITH 72% IN APRIL 2002. § Worked with both TDS 3, and 8 Top Drives. § Tripping Tubulars with manual and Hydraulic BX Elevators, using manual and power Slips. § I have worked on and with National triplex mud pumps were conventional system and P-quip systems are setup . § I have hands on experience working with different types of 3rd party equipment such as mud motors, LWD, MWD tools, upper & lower completion and different sizes of casing, liners and tubing’s. § Worked with Varco and National Oil Well IRON ROUGHNECK. § I have a good understanding of the pit room and piping system and of Mud systems both OBM and WBM. § Relieving Derrick man at all his breaks at Derrick during tripping, Stabbing Casing and also in pump room taking care of Mud Pumps and Pits. § Getting organized for nippling up and down Bops and preparing for upcoming jobs are also part of my job responsibilities. § PERSONAL SURVIVAL TECHNIQUES COURSE FROM SURAKSHA MARINE (MUMBAI) ON DATE 29-03-07 TO 31-03-07. § PERSONAL SAFETY AND SOCIAL RESPONSIBILITY COURSE FROM SURAKSHA MARINE (MUMBAI) ON DATE 21-05-07 TO 23-05-07. § FIRE PREVENTION AND FIRE FIGHTING COURSE FROM SURAKSHA MARINE (MUMBAI) ON DATE 24-05-07 TO 26-05-07. § ELEMENTARY FIRST AID COURSE FROM SURAKSHA MARINE (MUMBAI) ON DATE 28-05-07 TO 29-05-07. § SCHLUMBERGER INJURY PREVENTION PROGRAM FROM ARABIAN DRILLING COMPANY(SCHLUMBERGER) ON 02-04-06. (VADODARA-2) ON 24-08-05 TO 25-08-05. § FIRE FIGHTING COLD TYPE ARABIAN DRILLING COMPANY (SCHLUMBERGER) ON 27-11-05. § H2S COURSE FROM ARABIAN DRILLING COMPANY (SCHLUMBERGER) ON 28-11-05. § FIRST AID WITH CPR FROM ARABIAN DRILLING COMPANY (SCHLUMBERGER) ON 29-11-05. I have worked as a Derrick Man on ONGCL rigs at Mehsana project Gujarat and performed my duty as an Assistant Driller/Driller on Mechanical Brake System many times independently in night shift on 1000 HP E-760(11) Drilling Rig. I do not have IWCF. Presently I have worked as a Derrick Man in MB Petroleum in Kingdom of Bahrain (Gulf). § Fire Prevention & Fighting. § H.U.E.T Helicopter under water escape & sea survival course. § “Safety first” training course. § Crossing Cultures with competence course. § Handling H2S training course. § How to use “Permit to work” training course. § How to asses risk training course. § TOFS, Time Out For Safety course. § Working with Forklift training course. § Rig Pass Leader Course. § Lifting & Handling lifts Course. Join Pakistan Petroleum Limited (PPL) – one of the leading E&P (Exploration and Production) company of Pakistan (Formerly owned and managed by Burmah Oil Company – BOC) in 1983. Before joining PPL, had background experience of more than one year with Ministry of Petroleum and Natural Resources – The Government regulatory authority to monitor E&P activities in Pakistan and about 5 years hands on experience as Explorationist and Field Geologist with Resource Development Corporation in Mineral sector of the country working at Saindak copper project, in Baluchistan province of Pakistan. During the last 29 years with PPL worked on different position as well site Geologist, Company site Representative (Company Man) on offshore and onshore projects, Chief Geologist and presently working as Manager Drilling Operations (MDO) in drilling operation department. PPL has 25 exploratory blocks and five discovered field Sui, Kandhkot, Chachar, Mazarani and Adhi on its portfolio, as an operator. Company is also engaged in E&P activities in different JV with OGDCL, OMV, Eni, POGC, Zhavor Petroleum and Mol Pakistan in onshore and offshore area of different geological basins of Pakistan and international exploration, as one of the key player in Oil & Gas sector of Pakistan. Drilling operation department is responsible for execution of company’s work program on drilling and well completion at work over, development and exploratory wells in company’s operated areas. Large sum of money about US$500 million is being spent under Revex / Capex budget by the department to execute work program. DO department is also monitoring well operations in the JV areas, operated by other JV partners to safeguard company’s interest. Manager Drilling Operations leads the multi discipline professional team of about 20 Drilling Engineers, 15 Geologists, 10 Maintenance Engineers, Drilling crew to operate PPL’s two rigs, HSE/QMS officer and other support staff to accomplish departmental Strategic Goals and Key Performance Objectives (KPOs). 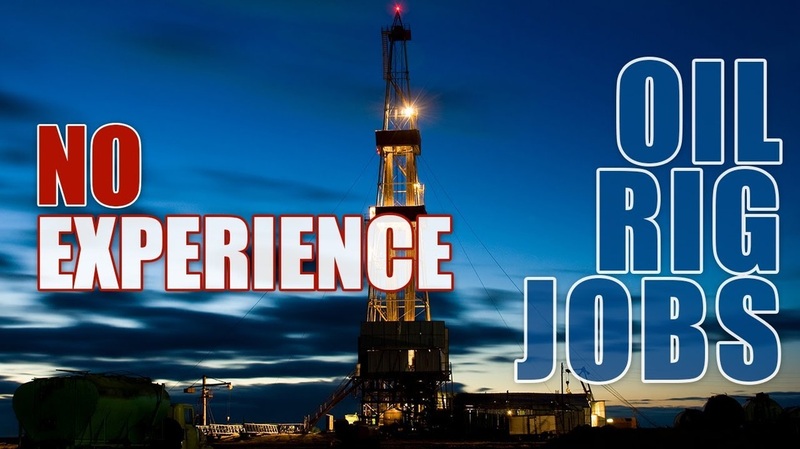 · Manage, Coordinate, Direct and Execute onshore and offshore drilling and completion operations at exploratory, development and work over wells in company’s operated area. · Embark upon new technology to improve performance, cost and time. Interface and keep close liaison with industry professional and service provider in this regard. Recently one horizontal well was drilled in PPL Sui gas field with under balanced (Nitrified stable foam), Down hole Deployment Valve (DDV) and Extended Range Electromagnetic (ER-EM) MWD Technologies first time in Pakistan and Middle East Region (SPE # 156203). · Drilling through abnormal / subnormal pore pressures of post Eocene formations in the Potwar basin of Pakistan, especially in Adhi field are extremely tough, hazardous and challenging. Quick and accurate decisions are required to embark upon successful drilling and work over operations, as any delay may cause substantial financial loss and some time loss of the well as well (SPE # 59220 MS). · Drilling HPHT well. BHP above 20K and BHT 375ºF. Mud wt. 19 PPG at Pakistan deepest well Kallar X-1 (6,437m) and Kundi X-1 (6400m). · Interface with JV Partners, Drilling Contractors, and other stake holder within the company in resolution of matters within strict deadlines. · Plan, coordinate, optimize and execute geological operations at exploratory, appraisal and development wells. · Plan and execute different type of drilling fluid system including silicate PHPA and oil base mud. · Comply with Company’s corporate policies and government regulations, contract requirements and budget constraints. · Analyze and optimize intricate operations and processes for performance improvement. · Ensure compliance of ISO 14001 and OHSAS 18001 certificate in HSE and ISO 9001:2000 in QMS. Set high standards & deployment of resources for continuous monitoring and internal / surveillance audits through HSE / QMS department. · Ensure HSE / QMS compliance at contractor rig and other service providers. · Cost control is required as daily well cost runs very high. · Build and maintain team of competent professionals, plan their career paths and identify / recommend their training needs and implement training program. High demand of drilling professional is constant problem to reckon with. · Develop and implement policies, standards and procedures for engineering and technical work force. Provide guidance to drilling team and make spot decision to resolve difficult and unusual problems to ensure safe drilling operation. · Evaluate efficiency of operations, plan and implement, review and assume direct responsibility for carrying out individual well program. · Ensure about forward planning, designing and necessary preparations are completed in consultation with other stake holders in timely manner to undertake the operations efficiently, timely and as per approved AFE and work program. · Coordinates drilling and work over operations and approve AFE in the JV non operated area to safeguard company’s interests. Attend TCM / OCM meeting. Suggest possible improvements in performance and cost. · As drilling well sites are usually located in remote areas and harsh environment, management and security of staff and asset is a challenging task, especially in present day’s scenario in tight security condition in some part of the country. · Extensive work program in parallel operations / activities demanding increased number of resources and efficient workforce in meeting timeline and committed schedules. 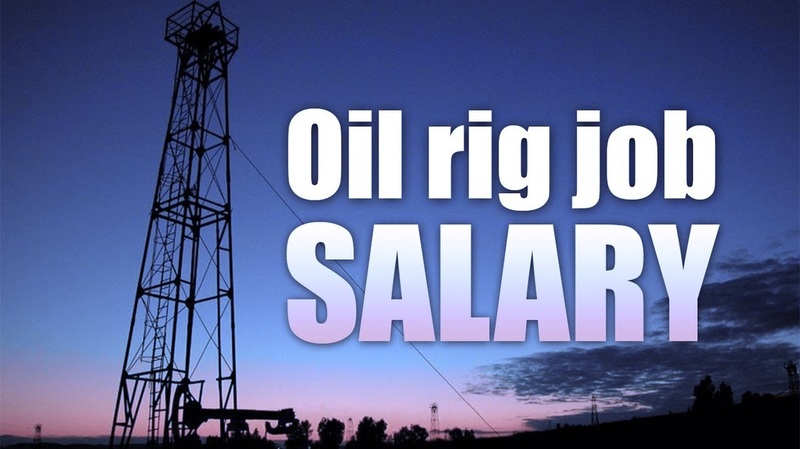 · Plan; execute rig maintenance and resource deployment including a number of staff and crew to man the two drilling rigs being operated by the company. · Direct, review and approve Project design and changes. · Prepare, get internal approval and execute budget & contracts. · Prepare TCM / OCM agenda, present well program, progress and AFE in TCM / OCM meeting and get approval from JV partners. · Perform administrative functions such as reviewing reports, approving expenditures, enforcing rules and making decision about purchasing, services and material. Following work groups / sections are working under MDO to achieve departmental Strategic Goals and KPOs. Well operation team is headed by Company Man or Driller in charge (in case of PPL’s own rig). Team includes well site Geologists, Drilling Engineers, Mud Engineers, Drillers, Maintenance Engineer, HSE / QMS officer and other support staff to drill development and wildcat wells on shore and offshore area. The team is also responsible to supervise work over, frac and re-completion of well. · Ensure compliance to blowout prevention safety rules and procedures to combat eventuality. · Oil well drilling particularly exploratory drilling is always prone to unforeseen complex technical problems and poses uphill challenges to overcome them expeditiously, effectively and safely, requiring experience, expertise and adaptive thinking. · Drilling highly depleted gas reservoir of Sui Main Limestone (SML) and Sui Upper Limestone (SUL) especially in presence of over pressure shale’s in horizontal and vertical wells at PPL’s Sui and Kandhkot gas fields. · Safe and smooth operations are essence of this job, during the drilling / work over operation, specific problems and issues as and when arises for decision and further advice. Five asset management teams of about 20 drilling engineers are working in this discipline to carry out the following tasks at head office under supervision of Chief Drilling Engineer. · Design well, raise LLI requirement, and follow up on policy schedule to ensure the availability of material. · Select and acquire drilling rigs on cost competitive basis. · Select services and material pertaining to bits, liner hangers, fishing, drilling jars. BHA, well head engineering, hot head. Selection of special services like under balance drilling (UBD) foam and aerated drilling, directional drilling and geo-steering, casing cutting, side tracking and H2S Monitoring services. · Prepare drilling program. Coordinate with well staff on trouble shooting, provide guidance and monitor well progress. · Plan and supervise special assignment like UBD & side tracking etc. · Monitor drilling and work over operations of non operated area by other JV partners and recommend measures for improvement in performance & cost. · Ensure optimum utilization of Drilling software (EDM) in well designing and monitoring other drilling activities. PPL operates two drilling rigs (Ideco H-725 and Cardwell KB-500). Rigs are maintained by Maintenance Engineering section head by Chief Engineer and team of about 10 Maintenance Engineers and other support staff. · Develop rig maintenance program and procedures, plan & execute preventive / predictive maintenance of rigs and its auxiliary equipments. Identify and replace with advance equipment to improve life of rig and to ensure uninterrupted drilling & work over operations. · Periodically review and forecast schedule of stock holding and recommend amendments, to up-keep drilling outfits in good working conditions. · Ensure uninterrupted drilling operation at PPL’s rigs due to any equipment failure. Chief Geologist leads the development geological section with team of about 10 Geologists and 3 Mud Engineers to perform the following tasks. · Evaluate G&G and offset well data. Prepare & execute geological program at development, appraisal and exploratory wells. · Finalize formation tops, core description, mud logs, core logs, pressure data profile, evaluate gas data and monitor hydrocarbon shows. · Select core intervals and finalize casing seats. · Finalize wire line logging program, QC of tools / logs & quick look interpretation. · Select optimum drilling fluid system and supervise mud engineering services. · Review and finalize cement design, job procedure and supervise job execution in consultation with cementing Service Company. · Select test intervals and supervise open / cased hole DST from geological point of view. · Acquire cementing, wire line logging, mud engineering, coring and mud logging services on cost competitive basis and mobilize to execute the job. · Ensure optimum utilization of Geolite software at well site and at head office. HSE and QMS coordinator are responsible to execute PPL’s HSE / QMS policy at all well location. · Ensure compliance of HSE and QMS procedures, mentioned in ISO 14001 and OHSAS 18001 for HSE and ISO 9001:2000 for QMS certification. Coordinate with HSE and QMS function of the company to perform internal and surveillance audit and promote awareness of HSE and QMS within the company and service contractors. · Follow up on Non Conformance & observations and their appropriate closure. · Develop Quality plan using guideline of ISO 10005. Identify improvement areas. Promote behavioral based safety (BBS) program at all PPL working site. · Disseminate HSE / QMS policies & procedures at contractor rig. · Develop and implement HSE SOPs on working in confined space, working at height, material handling & stacking. Implement HSE reward and recognition program. Worked as Assistant Director (Technical) in Ministry of Petroleum and Natural Resources in DGPC, which is Government regulatory authority responsible for making petroleum policy, granting concessions to different E&P companies operating in Pakistan. Executing the work program and monitoring oil and gas exploration and production activities in the country. Worked as Explorationist, Field Geologist with Resources Development Corporation at Saindak Copper Project near Pakistan, Iran and Afghanistan Boarder. Work includes Litho-structural / mineralogical mapping, core description, evaluation of copper / gold / silver / molybdenum / iron ores. Numerous technical courses conducted by renowned training institute in Pakistan and abroad and number of clients courses, seminars on drilling operations, well control, directional drilling, horizontal and multilateral wells, production engineering, mud engineering, cementation, wire line logging, exploration and development geology. Attended number of soft skill courses covering all aspect of management & HSE. Attended number of technical conferences in Pakistan and abroad. for Haulpak 930E – 1 / 2. - General Hydraulic System Haulpak 930E – 1 / 2. - Front & Rear Suspension system & maintenance. - Stering system & maintenance. - Hoist ( Dumping ) system & maintenance. - Service brake & parking brake system & maintenance. - Brake cooling system & maintenance. 930E – 1 / 2. - Trained Basic Engine and maintenance. - Trained Electrical 24V and trouble shoting. - Trained Transmission system and maintenance. - Trained Torque Converter system and maintenance. 2. Training & Courses - Safety Training ( HUET – BOSIET – STOP ), Man Overboard, Abandonship, Fire Fighting. Satisfactory Completion of Offshore Drilling Training ( 5 days ). 3. Attended the Seminar of Oil & Gas Industry from BP.MIGAS ( Oil & Gas Petroleum of Indonesia ) in 2005. I am currently working as a Freelance Logistics Consultant in Jakarta. Client : Sonangol – Pesquisa & Produqao ( National Oil & Gas Company) in Luanda, Angola. Orientation : I worked in Indonesia and oveseas for driiling/oil & gas companies, and consultant for offshore oil and gas projects in Luanda, Angola. Procurement & Purchasing, Logistics operations, Materials controlling, Warehouse management & controlling, Inventory management, Distribution of materials and coordination, Expediting, etc. Oil & Gas Petroleum Co of Indonesia (BP.MIGAS), from 2001 – 2006 ( 5 years ). Previous jobs , I worked for drilling companies and oil & gas companies in Indonesia and overseas. Focusing on logistics functions and management. Cost control, Estimation, Planning & Coordination. Providing valuable services such as system implementation and improvement, review logistics contract proposals, and assist procurement with expediting and purchase order terms. Diagnose and analyze of warehouse operations, Implementation and improvement of logistics plan, materials & warehouse procedures and safety regulation in handling materials movement such as drilling/oilfield equipment and bulk materials. Logistics Consultant will also responsible for the preparation of documents such as Packing list/MT/Receipt/Custom clearance. Trinity Offshore Pte, Ltd – Singapore. warehouse. Now they are waiting for the order from the Oil & Gas Company. what is the best for the company to keep all the required materials and equipment onboard the Warehouse Vessel. Smartspeed Investments Limited – Consultant Services for Oil & Gas Co. in Luanda, Angola. This is a Consultancy Services for Oil & Gas in Africa. Activities : Offshore Logistics Project Plan for Sonangol pp. Responsible for the offshore logistics project plan and operations, cost control, diagnose and analyze of warehouse and logistics operations, report the daily activities and evaluation of logistics plan to the logistics director and management at the head office in town. Review logistics execution plans, critiquing the plans soundness in maintain Project schedule. Assist in the development, implementation and evaluation of Key Performance Indicators. Collate cargo shipping details from Contractors on Ports and traffic corridors. Contract Administration and various Logistics Contracts. Construction Management of Logistics Contracts. Construction Management of Logistics Supply Base. Contribute to the operation of the comprehensive Logistics Simulation and reporting system. Provide guidance and support to Company (Client) on matters pertaining to materials movement schedule. The above mentioned activities will be based on the Logistics Function and Logistics Management roles for offshore operations. Personnels services and materials handling for Chevron Oil & Gas in Africa. Manages and administraters materials management functions, such as planning, procurement, storage, inventory control, and distribution of materials to meet company objectives and customer requirements. Administraters the flow of materials, parts, and assemblies within or between departments in accordance with shipment schedules or department priorities. Monitors maintenance of the inventory control system to ensure accuracy. Establishes policies and procedures to ensure timely flow of materials and for tracking the physical inventory. Coordinates requisition of materials with purchasing department and establishes delivery sequences to departments according to job order priorities and anticipated availability of materials. Investigates and solves problems resulting from material shortages. Keeps abreast of new sources for supplies and materials. Cost control and monitor the purchased of critical items. Direct the development and implementation of overall division/region materials management procedures. Direct control the procurement, warehousing, distribution, transportation, and logistics planning disposal of materials and equipment for the project plans and other locations. Operators : Pertamina, Total International. Activities : Drilling operations and exploration in Indonesia. Manages and coordinates activities of buyers and support staff engaged in purchasing and distributing of materials, equipment, and supplies for drilling operations. Prepares instructions, requisitions regarding purchasing policies and procedures and direct purchasing programs accordingly. Establishes procedures to accomplish procurement of a variety of materials in a cost effective manner. Prepare and issues Purchase Orders (PO) and change notices to purchasing agents/vendors. Make schedules for all purchased materials and follow up. Communication with the End Users, warehouse, and Site logistics (materials incharged). Keep documents, certificates, and special memo in file and keep control before purchase any of new materials. Purchase the right materials, good qualities, good prices, delivery and distribution of materials to the location, warehouse, or supply base on time. Monitor performance and capabilities of vendors to ensure maintenance of delivery, quality, and price commitments. Develops and installs clerical and office procedures. Acts as a liaison in dealings between vendors and user departments when necessary. Keep updated reports in file and report the daily activities to the management. Lonestar Drilling Nigeria, Ltd. – Port Harcourt, Nigeria (Africa). Operators : Agip Oil Co, Shell Nigeria Co. Others. Drilling exploration for Oil & Gas Companies in Africa. Manages and support the alliance team, Securing the on-time delivery of project materials from multitude of sources. Also responsible for supply management, Procurement, Contract management, Vendor management, Client management, Logistics operations for the project activities, Materials management. The major activities are for drilling operations, Drilling and completions materials (Onshore & Offshore). Manages and control storage and distribution activities of the company to ensure maximum utilization of facilities. Administraters operational procedures for activities, such as verification of incoming and outgoing shipments, handling and disposition of materials, and keeping warehouse inventory current. Takes precautions to secure warehouse contents against loss. Evaluates inventory on hand. Prepares or review distributions documents. Manages of damaged or used materials. Other activities : Manage the warehouse and controlling, and responsible for all activities such as receipt, repairing, ordering, and distribution of materials to the required locations. Also, administraters the planning of materials and service in coordination with Project Manager. Create materials and service requisitions and local purchase order tosupport the project. Track, expedite and report progress of the project’s critical patch items. Communicate with logistics personnel on important and critical consignment. Prepare regular summary and detail budjets updates.Ensure compliance with company policy regarding vendors, receipts, payment, etc. Travel to/from project site as required. Support project, operation’s approval and transaction. Responsible for custom clearance and other support documents. PT. Binatek Reka Kruh - Jakarta Office ( Indonesia ). Oil & Gas Production Company ( Joint operation between Australia (Anzon Energy, Ltd) and Indonesia. Responsible for the tendering and procurement of inventory and services, Also responsible for the establishment of onshore facilities and recruitment of logistical personnel including the mobilization and supervision of all onshore logistical activities. Worked directly to import equipment through a custom clearance agent. Make AFE and budjet for drilling programs included schedule for the drilling operation and facilities for the cost recovery. Procurement specialist with extensive in all aspects of Procurement, Contract Services, Materials Control, Warehouse Management and Logistical Support, associated with onshore drilling, exploration, construction and production industry, Indonesia and abroad. An ability to implement good procurement practices and effect good resource management. A proven track record in the application of procurement initiatives in support of internal customers. Participate in multi-discipline team development,producing “ right the time “ approach to procurement. For logistical, responsible for the overall logistics activities and operations started from day to day activities and moving materials and equipment to the required locations, personnels, loading and offloading materials, coordination and supervision handling personnels, warehouse control, flow materials, and communication between logistics department and other department to support the drilling progresses. Attended the meeting for drilling program and gained the Seminar of Supply Chain Management (SCM), Work Shop for the implementation and improvement of logistics project plan for drilling operations. This was instructed by BP.MIGAS ( Oil & Gas Petroleum of Indonesia ). This is the regulation and policy for all drilling/oil & gas companies in Indonesia. Operators : Pertamina, Total International, and ARCO Richfield of Indonesia. Drilling (Exploration), Seismic, well services, and personnels services (Indonesia). This is a joint operation company between Indonesia and China ( Da’chin ) for the drilling (exploration), seismic, well services, personnels, and maintenance of drilling rigs in Indonesia. Manages the logistics team and show the best practices in handling logistics operations. Responsibilities involved planning the mobilization of spud Load-Out, onshore supervision of both materials and personnel movements to/from the office base in Jakarta and training the onshore coordinator. Also worked onshore to manage the supervisors of mobilise the completion. Report the overall logistics activities directly to the Operation Manager and General Manager. Set up a good system for implementation and improvement of logistics project plan to ensure that all logistics operations are in good manner and running smooth before start with the drilling activities. Marine Drilling Company ( Singapore, Dubai, and Myanmar ). Drilling and exploration Co. The operation areas are in Middle East and Myanmar (Yangon). Review all incoming manifest and shipping documents and check against cargo received. Prepare manifest for departing supply vessel and helicopters. Review and sign off on all outgoing manifest departing. Prepare materials requisition (MR) as required by department heads. Monitor and reports on daily inventory issues cost. Responsible for cyclical counts on inventory. Contribute to and support safety tool box meeting. Be able to plan spud materials and equipment required for the batch commence. Track and maintain compliance with monthly R & M budjets. Report the daily, weekly, monthly and yearly reports to the Materials Manager and copies to Logistics Manager, Accounting dept, and one copy for file on rig site. Manage and provide materials and logistics support to drilling & completions ( drilling materials, distribution of drilling materials, supply base operations, equipment maintenance & inspection, repairing, logistics support, inventory management, personnels, fuel, chemical materials, transportation, tracking materials, documentation and custom clearance, moving materials, communication, and reports ). Major activities : Manage and implement materials management process and procedures for drilling and completion and drilling exploration materials. Provide materials and logistics support to special projects. Ensure that all logistics operations, purchased materials, distribution of materials are in good manner and ready to be deliveried to the required locations. Report the daily logistics operations directly to the management ( Logistics Manager/Director ). Purchase materials locally and from Singapore to support the drilling progresses based on the company’s procedure and policy. Trainer for the warehousemen and materialsmen (Oilfield Workers). I worked as a Trainer for the national drilling contractors in Indonesia. I shared my skills and experiences to the oilfield workers and teached them what is the best way and the best practices for them when they are going to star working in the warehouses, receive materials, loading/offloading shipments, issue materials, maintenance and repairing of materials, documentation clearance, inventory jobs, preparation before start with their jobs, follow the safety procedures, use safety equipment before start working, how to fill up the warehouse forms ( Issue slips, etc ), distribution of materials to the required locations, follow the supervisor’s instruction, and warehouse management, etc. Served by the independent Agency ! Training & Courses ! PT. Montague Minika – A Gold Mining and Exploration Company ( Indonesia ). A gold mining & exploration company from Australia ( Joint operation company between Indonesia and Australia ). I worked for this company as a Country Logistics Manager based in Nabire (Papua). The operation areas are the whole areas at south of Papua and Center of Papua. I was a Logistics Manager and representative for the company. Helicopters, and report the whole operations to the local government and military for security and protection. I also have to get the License Officer and take them by Helicopters to the operation areas ( Militery ). Provided Foods, Camps, Tents, Doctors, and other camp facilities for the geologis and their helpers. The operation areas are side by side with Tembaga Pura at Timika. Report the daily operation to the Head office in Jakarta, and local government, police station, and military station for security clearance. PT. Adiguna Shipbuilding and Engineering Co. ( Indonesia ). This is a big construction company in Jakarta. Their activities are, To build jackets and platforms for all offshore production companies in Indonesia. They also built Ships and other offshore vessels for offshore operations. Most of the Jackets and Platforms were belonged to ARCO Richfield of Indonesia. Treacibility, Materials Controller, Check all purchased Materials, Documents control, Check all Certificates, Materials inspection, Check quality of the purchased materials, lifting gears, lifting equipment, attended the meeting with the clients, check the standard procedure of materials before they want to use the materials for jackets and platforms. Work together with the Expediting Team to make control on every purchased items. I worked independenly for one of the National Hanling Company for moving the Oilfield and Production Equipment from Kodeco Energy, Pte, Ltd platform to Supply Boats. Production Equipment such as Cruide Oil Pumps, Fuel Tanks, and other big production equipment as well. These were rental equipment that need to be re-export back to Singapore ( Origin ). I will responsible for the custom clearance, security clearance, prepare the re-export documents, provided some helpers for moving those equipment, rental heavy equipment like Crane, Forklift, and Trailers. I will work under the instruction from Kodeco Energy, Pte, Ltd. I stayed at Taurus Platform for a couple of days before moved those equipment out from Taurus Platform at Kodeco field (Offshore). I handled this job as per ordered from the owner from Singapore through one of the handling agency in Jakarta. Kodeco Energy Pte, Ltd ( Indonesia ). Continual upgrading of the computerized inventory program and reporting functions. Check all the received materials from the suppliers ( PO #, MR.#, description, manufactured, packing list. For lifting gear, we need to check the certificates from the factory ), make sure all informations are correct and ready to be delivered to the required locations ( Offshore Platforms and Supply Base ). Field trips for inventory control. Physical Inventory at the end of year. Print out the result of the updated inventory reports. Updated the whole inventory reports every 3 months. The Finance department must involve in the inventory jobs. Responsible for the Receipt, Issues, Transfer, and always communicate with the Port Master for the custom clearance. Trained the warehouse personnels for the best practices in handling incoming/outgoing materials to/from the warehouse. Communicate with Field Logistics to make sure all shipments are ready to be shipped and ontrolled. Prepare the documents before sending any materials out to the locations. Ask the Supervisor as a mentor for any uncorrect procedures. Follow the company policy and procedures in handling materials and follow the safety procedure before take action or working in the field. Operator : ARCO Richfield of Indonesia. I will responsible for the crew change ( National & Expert’s ), local purchase, petty cash, documentation clearance and paperworks for the expert’s crews and report the expert’s crews to the local government ( immigration, police, ), transportation for the crew change, communication with harbour master for the loading/offloading materials to/from the rig site, hotel for the expert’s crews. As the representative for the company, I will responsible for the overall daily activities to ensure all administration procedure and materials handling are going smooth. Other activity : Communication with ARCO Richfield of Indonesia as the Client ( Operator ), because we will use ARCO’s transportation for the crew change (Boats and Helicopter). Supervise and coordinates daily activities of workers engaged in materials movement or handling, receiving, loading, unloading, transporting, stacking, order filling, shipping, and maintaining stock in a store room or warehouse. Review shipping or orders and requests for the movement of materials, prepares work schedules, gives work assignments to subordinates. Jobs supervised include storing items in bin, on floors, or on shelves in the store room or warehouse for removal, making or tag acticles for identification purposes, maintaining records of inventory, filling orders, issuing materials, to office and required locations, and submitting requisitions for replacement stock. Assist with design and implementation of work methods and operational procedures for activities, such as verification of incoming-outgoing shipments, handling and disposition of materials, and keeping warehouse inventory current.Review work processes. Supervises salvage of damaged or used materials. Keep accurate personnel. Keep updated inventory reports ( computerized ). Responsible for the administration of requisition, receipt and issue ofall materials and the maintenance of the inventory control. Responsible for the manifests of work boats (offshore) and helicopter movement of stores. Responsible for computerizing the rig warehouse inventory. Maintain inventory control of all materials received aboard. Receive materials aboard, record and show accordance with company policy. Review all incoming manifests and shipping documents and check against cargo received. Prepare manifest for departing supply vessel and helicopter. Review and sign off on all outgoing manifest and equipment departing. Prepare Materials Requisitions (MR) as required be separtemental heads. Minitors and reports on daily inventory issues and cost. Tracks and maintains compliance with monthly budjets. Make cyclic counts on inventory. Supervise the activities of incoming and outgoing materials. For other additional jobs : Involved in handling tubulars ( Csgs, Tbgs, other Tools for Clients,) and DP, HWDP, DC, Drill Bits, Down hole tools, BOP Stack, X-Mas Tree, Casing Spool, Tubing Spool, Casing Head, Tubing Head, Adapter, Csg hanger, and more other drilling equipment as required ). Reading & Bates Exploration Co. Responsible for stocking the stores rooms to a correct level, including dispatch to different areas of the rig. Responsible for the maintenance of the stores and stock ordering and receiving. Check incoming-outgoing shipments to/from the locations. Make reports for the transfered and received materials and run into the computer. Check the stock level/ balance and updated the daily inventory reports. Assist the Deck Foreman for the loading/offloading shipments. Maintaining spare parts and sufficient stock levels. Checking all manifested equipment, offloaded or back loaded. Liaising with senior Tool Pusher / operator regarding materials movements. Informing Logistics and Procurement Manager of any items to be ordered. Keeping accurate records of spare parts with drawn from store. Maintening the operations store in an organized and structures layout. Responsile for the recipt and issue of goods to/from the main store and recording of all stock adjustments. Efficiently deliver y orders placed by rig. Responsible for the cyclical counts on inventory. Control stock level. Communicates with the Helicopter Load Master for special orders ( small replacement parts for the drilling materials, engines or electrical parts or any other materials that need to be installed or for the critical parts ). Prepare manifest for the outgoing materials. Responsible for the overall daily activities at the supply base and warehouse because we have short of power in handling materials movement from the supply base to the rig site. Responsible for the documents such as custom clearance, port documents clearance, loading and offloading materials from the work boats, crew change and manifest, warehouse controlling, supervise the warehouse personnels, inventory, maintenance and repairing of materials, make requisitions (MR) for the replacement parts, cargo handling (incoming shipments from Singapore and Houston, communicates with Pertamina’s Field Logistics Coordinator for sending materials to the required locations ). Field survey to ensure all DP/DC/Handling Tools/BOP Stack/and other stock items at the warehouse yard (Opened areas) are in good shape and controlled. Make updated reports and send to the main office for their file. Documentation of logistics functions and management procedures for oilfield industry operations, specially for onshore and offshore. Supply Chain Management (SCM) and ERP for Materials handling and warehouse controlling, Inventory management. Cost control and Cost reduce. Project management. · 2006 -2007 Radio operator for Petro Canada drilling company (MB3) in Syria. · 2007-2009 as Roustabout – Floor man- Derrick –Driller assistant forPetro Canada drilling company (MB3) in Syria. · 2009-2010 as HSE Advisor for Petro Canada drilling company (MB3) in Syria. · 2010-up till now as HSE Advisor for SAPESCO Drilling Company in Syria. · Basic and advanced Drilling practice. · Introduction to oil & gas business. · Permit to Work (A- Authorized & B-holder). · Unsafe Act & Unsafe Condition. · Safe handling of chemicals (SHOC) and gas tester. · Fire prevention and fire fighting. · Personal survival techniques and search and rescue. · The first responsible and focal point for all matters associated with QHSE in the field & base. 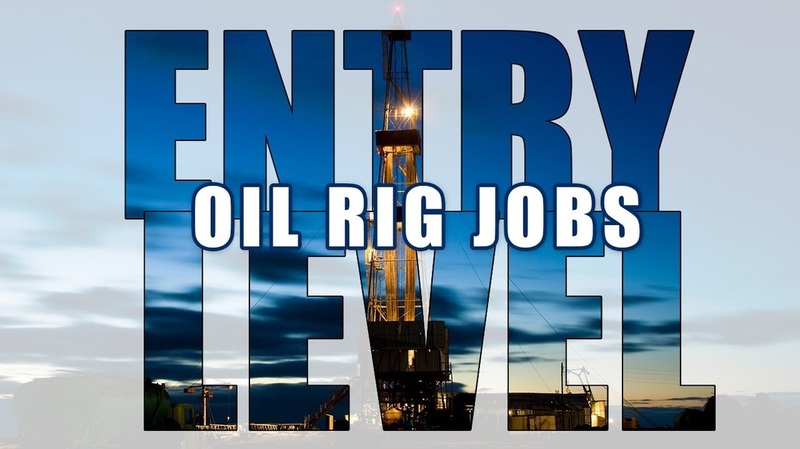 · Lead daily / weekly inspections for the rig, camp, vehicles, crane, and forklift….etc. · Reporting & investigating in accidents / incidents and advising with the corrective actions. · Viewing and reviewing the company safety procedures and makes the system running. · Reporting to the drilling supervisor and supporting the HSE office in the daily running and administration of the well site and the main camp operations. · Attend morning meeting and support well site and main camp operations as required. · Ensure all the vehicles coming / leaving the location complies with the safety policy. · To attend and check all the lifting operations. Advise the crews and insure that the operations go without accidents. · Supervise the loading and offloading the material, and ensure that all loads are secure before leaving. · Give induction to new employees and making them aware of the safety policy and procedures. · Support the personnel and ensure communication and feedback between departments as well as subcontractors. · Assist where required in any training activities.